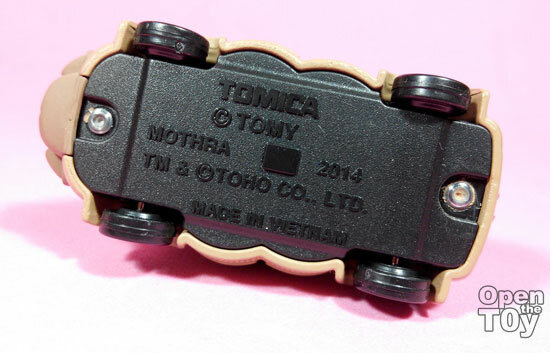 I stumble something unexpected when I was checking out some Tomica toys. 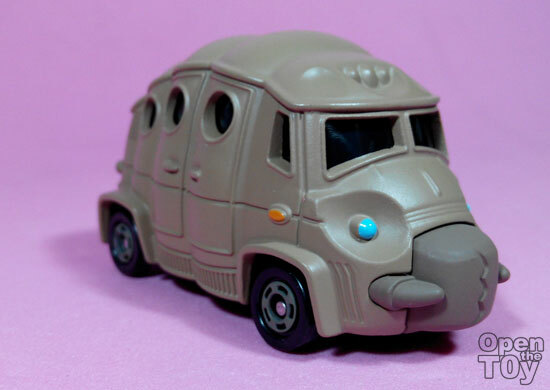 I saw a cute looking vehicle that resemble a worm and without much consideration, I purchase it. 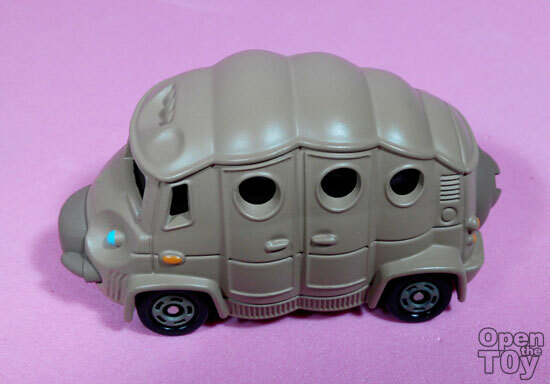 Little did I noticed shortly it was a Baby Mothra from Godzilla! 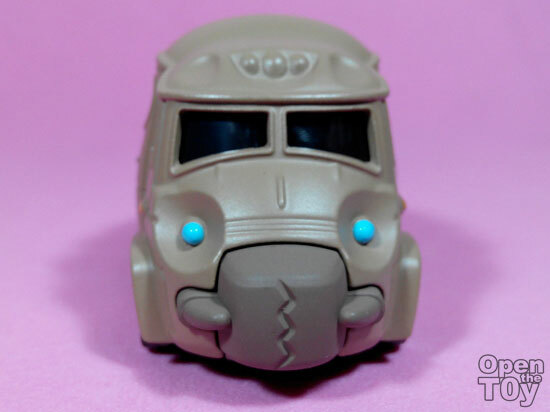 I love the way they made the blue eyes as headlights and the mouth as a bummer. On the top view, you can totally see the shape of the caterpillar or worm. 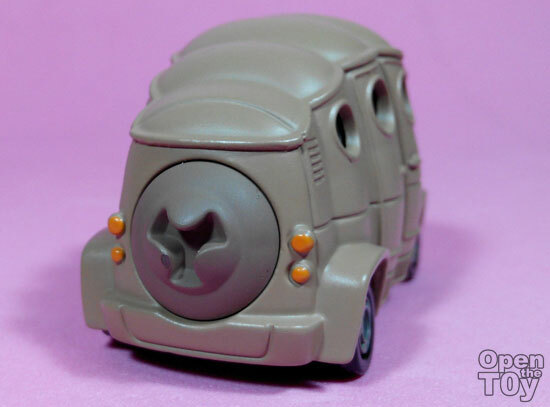 At the back should be a place to store the spare tyres. 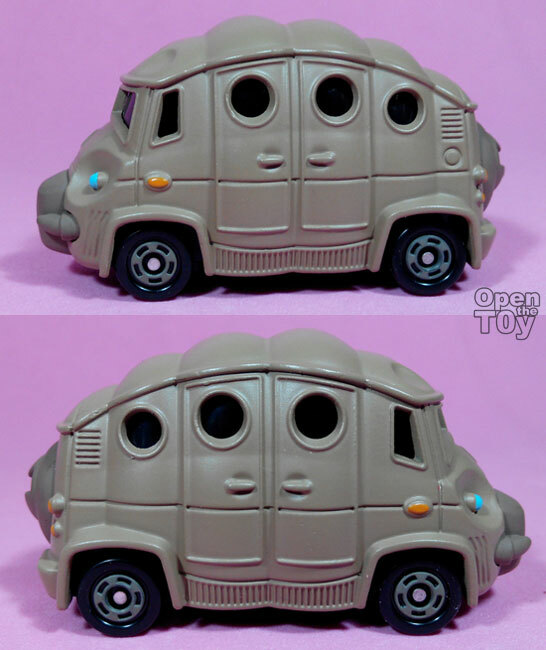 Overall this is a looker and Baby Mothra vehicle look cute! 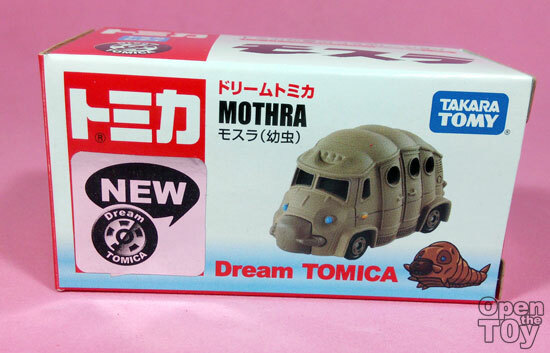 Do you like this Baby Mothra vehicle from Tomica?